Today we have three new Xbox Live releases to check out. 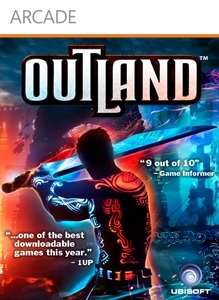 First up is Ubisoft's combat side-scroller Outland, which features a warrior changing color to better suit the situation similiar to Ikaruga, then there is Trouble Witches Neo which is an anime style space shooter and then platforming with Ninjas in NIN2-JUMP. Outland & Trouble Witches will cost 800 MSP ($10), while Nin2- Jump will cost 400 MSP ($5). "In the middle of Balance and Chaos, now stands one man whose efforts may bridge the ancient divide, or doom the world to destruction. The award-winning studio Housemarque, maker of Super Stardust HD, has teamed up with Ubisoft to create an ambitious platformer inspired by epic adventures such as the Prince of Persia® series. Each player’s adventure will take him between light and darkness and force him to adapt to an ever-changing world." 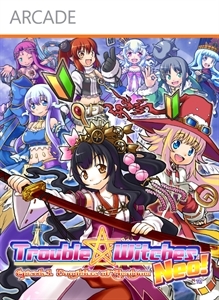 "Discover « TROUBLE WITCHES NEO », horizontal shooting in which cute and comical little witches roam the skies of Xbox LIVE! Sakurako, a traditional Japanese young witch, joins the cast of the Arcade version! The "Story Mode" offers a full voice dubbing in English and in Japanese to enjoy twice the game! The Online Mode featured in "TROUBLE WITCHES NEO" will allow you to play in cooperation with players worldwide, or, at the contrary, to confront them to get the highest score! In addition to the "ARRANGE MODE" with its high quality HD graphics, you can enjoy two different types of "CHALLENGE MODE" and　the "ARCADE MODE", original version of the game, for a very low price ♪"
"A shrewd ninja named NIN-JA stands up to rescue Princess SAKURA who was kidnapped by the evil ninja named NAMAKURA. Be the greatest ninja master in the world in Adventure Mode by flying freely with jump and chain action to clear all 50 stages while following the scenario, and in Score Attack Mode by keeping on attacking enemies appearing one after another. 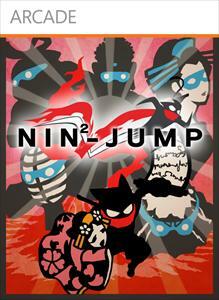 A high-speed shadow play, NIN2-JUMP presented by CAVE Company finally begins here! Your support fuels him up, so please back him up!"